With Apple under attack in China and Google possibly in for a rough ride, tech tensions are mounting. China’s biggest state-controlled TV broadcaster and its most important state-controlled newspaper both have a new target in their sights: U.S. tech-giant Apple. In a seemingly disturbing twist, and with aspects that resemble parts of the Chinese government’s turn against fellow U.S. tech firm Google, Apple has found itself at the center of some surprising rhetoric and a possible smear campaign. Meanwhile Google, via its domineering mobile operating system Android, appears to be back under pressure. China’s “Consumer Rights Gala” has always been a slightly absurd spectacle. Broadcast on the March 15 every year (earning the show the moniker “315”) on state channel China Central Television One (CCTV1), the event usually attracts hundreds of millions of viewers. It is not an especially sophisticated affair, with poor quality musical performances and other pomp making a farce of the core goal of protecting consumer rights and informing the public about serious issues. This year, two of the Gala’s high profile targets were Apple and Volkswagen. Apple was criticized for providing a lower standard of after sales service to Chinese consumers, including only offering a one-year warranty on its products instead of two years. The complaint against Volkswagen resulted in a product recall. Both are reasonable subjects for a consumer rights gala. Yet in the case of Apple, things soon took a bizarre turn. Following the show, a stream of celebrity “tweets” on China’s Weibo (Twitter-like platform) voiced support for the criticism of Apple. Unfortunately, when Taiwanese-American actor Peter Ho apparently joined in, it seems he forgot to delete a final line of instruction telling him when to post the message. Conspiracy theories sprung up – something was not right. So far theories about Samsung being involved or that the campaign was designed by the Chinese government in spur demand for its own smartphone industry have emerged. Yet Apple fans are renowned for their love of the company, so it was a dangerous play for CCTV to target the company in China, where its popularity is widespread. Although some Chinese joined in, in criticizing Apple, the backlash against CCTV on Weibo was immediate. Nonetheless, the People’s Daily joined in and intensified the attacks on Apple, featuring harshly worded tirades against the U.S. company almost daily. Some readers may remember Google’s own spat with China’s state media a few years back. That clash included apparently orchestrated attacks from the state media and an apparent manufactured smear campaign against Google over its search engine. That incident ended with Google very publically “withdrawing” from the country amidst a failed attempt by China’s censors to force the installation of “Green Dam” monitoring software on China-bought PCs. Google may soon be in for another scrap in China. A couple of weeks before the gala, a white paper from a research unit under China’s Ministry of Industry and Information Technology (MIIT) ominously stated that Google had too much control over China’s smart phone industry through its extremely popular Android operating system. The paper went on to recommend that China develop an indigenous mobile operating system. However unlike the controversy over Google’s search engine, the popularity of both Apple and Android in China will almost certainly produce a different result. 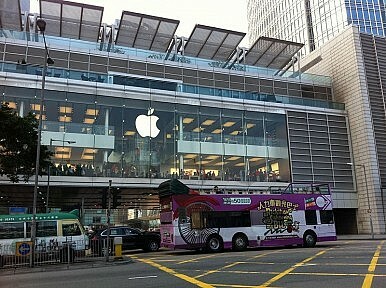 Apple is enjoying a free defense provided by online “netizens” even as the rhetoric is stepped up in the official media. Apple’s impressive sales in China make it the company’s second largest market currently, and what Apple executives have said will someday be its largest market. The growing importance of social media inside China has already eroded the influence of “old media” such as CCTV and the People’s Daily, perhaps explaining why they have become so harsh in their ongoing attacks on the company. As the campaign intensifies though, Apple will probably have to make some concessions, especially as lawsuits are now being filed on the issue of consumer rights (such as not having a two year warranty). Meanwhile Android’s market share in China is gigantic. Android’s open source nature was key to it establishing such a dominant global market position, and now it is building up an apps bank which can help reinforce its position. In China, issues with Google Play and Android Market (not being available) have resulted in the creation of hundreds of smaller apps stores, which may cost Google the app revenue enjoyed by Apple in the country, but make Android’s market position in terms of installation on devices much harder to challenge. Any system wanting to dethrone Android will have to be very special indeed if it is to succeed, even if it is pushed as a national champion by the MIIT. The deal's collapse is a bad sign not only for Huawei, but China's global technology ambitions.